What is a Digital Subscription and how does it work? 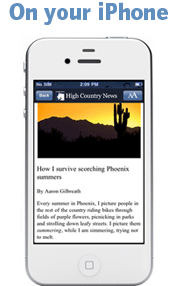 Get full access to all High Country News content on your computer, tablet and mobile device. Many readers enjoy the tactile experience of reading High Country News in print. Now, get more when you subscribe. Introducing three additional ways to read HCN. Subscribe now and start getting HCN's great content your way. NOTE: Are you already a subscriber? The digital portion of your subscription is ready for you to access. Activate it now! And if you already have activated your Digital Subscription, check your email inbox for bi-weekly notifications that your digital edition is ready. Download the free HCN app from the App store. HCN's freshest blogs, news and commentary. Easy access on the go. Navigation is a breeze, just use the simple scroll and tap gestures that you are already used to. Plenty of exclusive content available to subscribers, only. Download the free HCN iPad app from the App store. Hotest new way to read HCN's latest news. Mobile access at your fingertips. Simply scroll and tap navigation. Share many articles via email, Facebook or Twitter. **** Please Note iOS9 users ****: The High Country News iPad app is currently under construction so we can bring you the best experience possible. 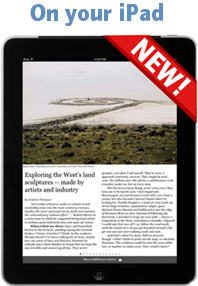 Our updated app will be in the iTunes store before the end of October 2015, providing access to our in-depth stories on the West. HCN.org offers our digital edition and much more! Enjoy the interaction of "flipping" through HCN's great content just as it appears in print with the digital edition. Plenty of exclusive, subscriber-only content. Access to the HCN community. Simple access, just open in any web browser and navigate to hcn.org. 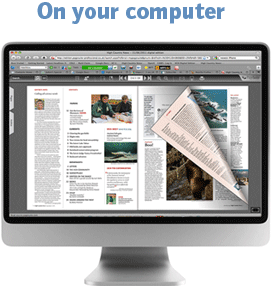 View a sample digital edition.